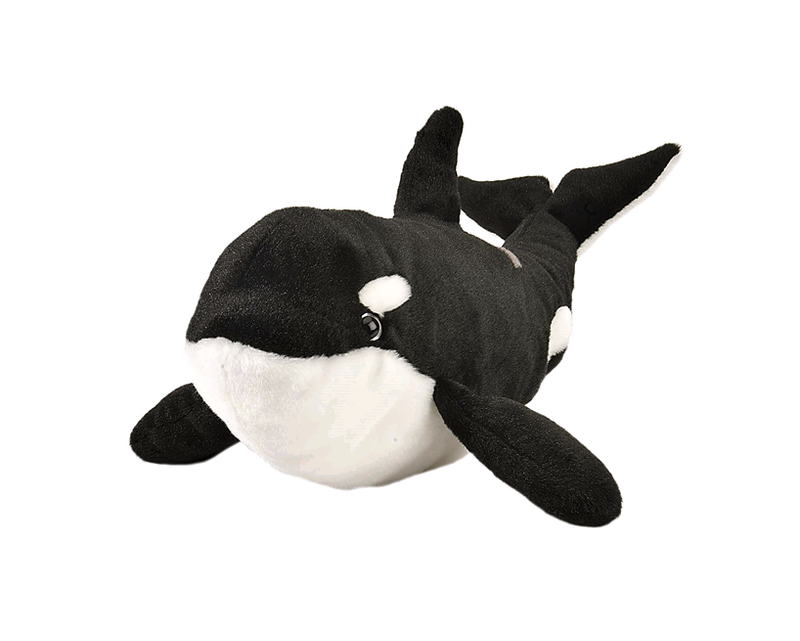 Orca black and white soft plush toy. 15 inch in length. Orcas are also known as killer whales, wolves of the sea. They can grow to a length of 8 metres and swim more than 45km per hour. They live in a family group called a pod and all work together to hunt prey including fish, whales, penguins, seals and dolphins.